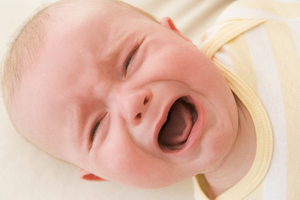 Researchers have created an app that decodes a baby's cry. It’s for doctors to identify potential issues. ESPN now lets iPad users call up scores and clips while watching live video. More evidence that the passive has become interactive. In buyout, BlackBerry is said to get little premium per share. It’s a lesson on how things change in mobile. Facebook says it has 101 million daily mobile U.S. users. Also, one out of three people in the U.S. check Facebook via mobile app at least once per day. I like. Groupon revenues now nearly 50 percent from smartphones. It is capitalizing on location-based opportunities. Apple is pushing its new MacBook Pro via movie theater ads. Who wudda thunk it? More change in the car - Audi's augmented reality app decodes your car dashboard so you know what the light on is telling you. Per industry analyst Chetan Sharma, in the third quarter, the U.S. mobile data market grew 4 percent quarter over quarter and 14 percent year over year to reach $21 billion. Hautelook says that 40 percent of its transactions are coming from mobile. Google recommends that mobile websites load in one second or less. More on building mobile web sites in my Sept. 25 Market Motive online workshop. We get so America-centric here, but it’s interesting that 5 billion of the 6 billion mobile phones are in developing countries. India remains one of the world’s largest mobile markets with over 825 million subscribers. Time spent shopping on mobile devices has increased 385 percent since 2010. One last stat - Nearly 80 percent of smartphones shipped worldwide during Q2 of this year ran the Android OS, says IDC. Tagged with app, Apple, augmented reality, Macbook, Market Motive. August 18, 2013 by Jeff Hasen.